Raise your hand if you’ve thought about your engagement ring at least 3.456.795 times ! Hey, we’re allowed to daydream. But, when the time comes and the right guy proposes, your dreams will become reality. Of course, the ring is not THAT important. Love is what counts ! But, we girls like shiny things. It’s in our DNA. So, to make your day better, Lulibuzz brings you some of the prettiest engagement rings. Some of them are unusual, some are classy, but they all are stunning. 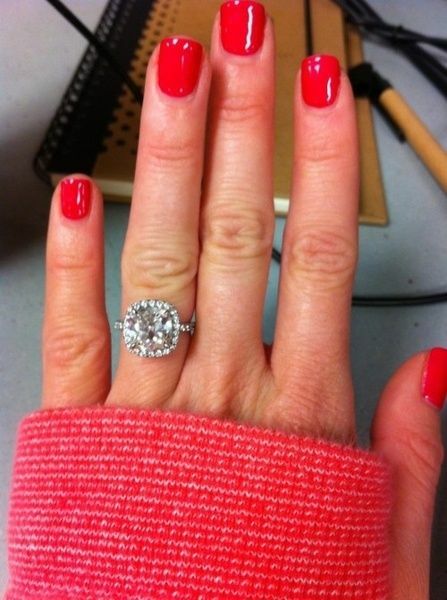 Social networks are overcrowded with cushion cut rings. Looks like every girl needs one big shiny piece of coal in this shape.